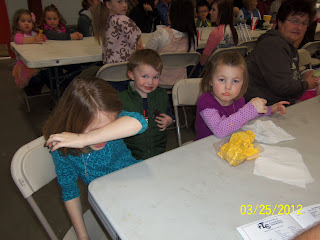 The kids taking a break between the chariot races. 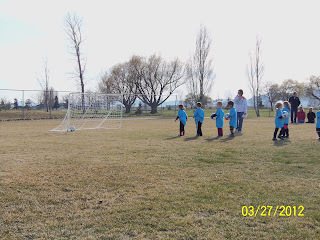 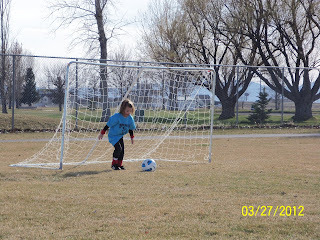 This was Shelby's first year playing soccer, she did great, her favorite position was goalie, she loved to dive on the ball to stop it. 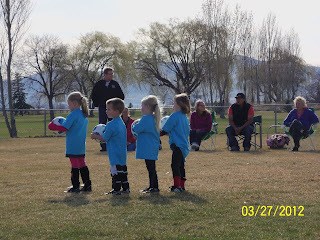 There were 2 other girls on her team that are also in her dance class. 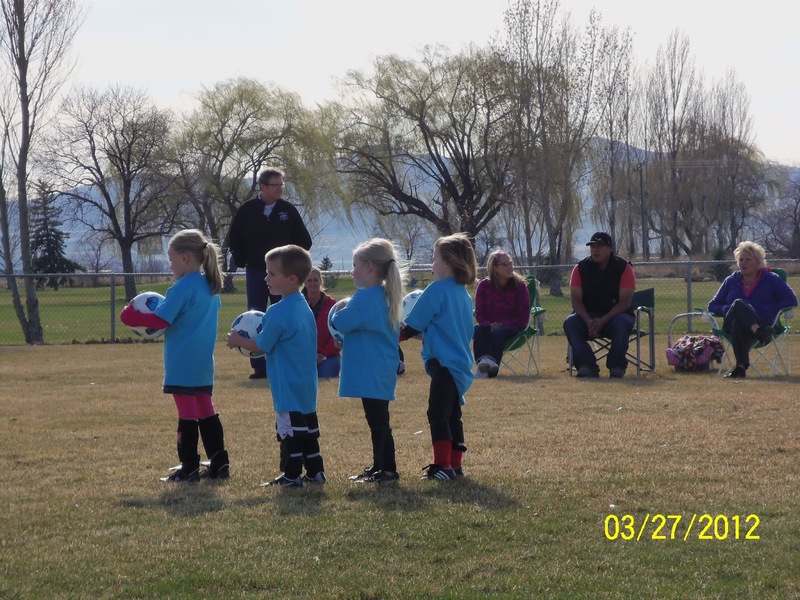 I feel sorry for the little guy between them all talking. 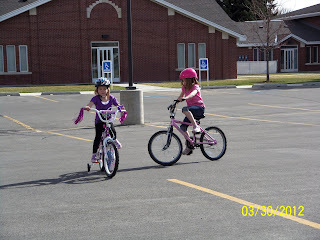 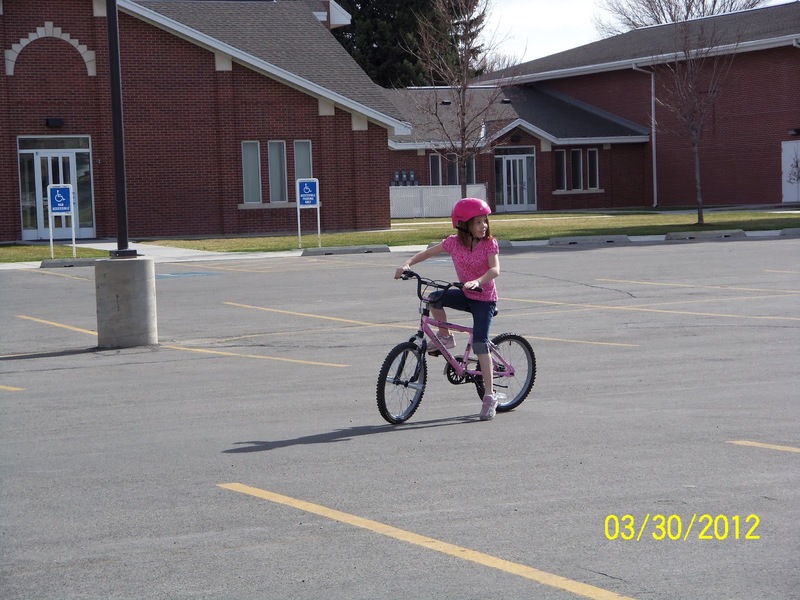 We took the kids to the church to practice them riding their bikes, Shelby got a big kid bike for her brithday so we needed to try it out since we don't have sidewalks or a nice drive way. 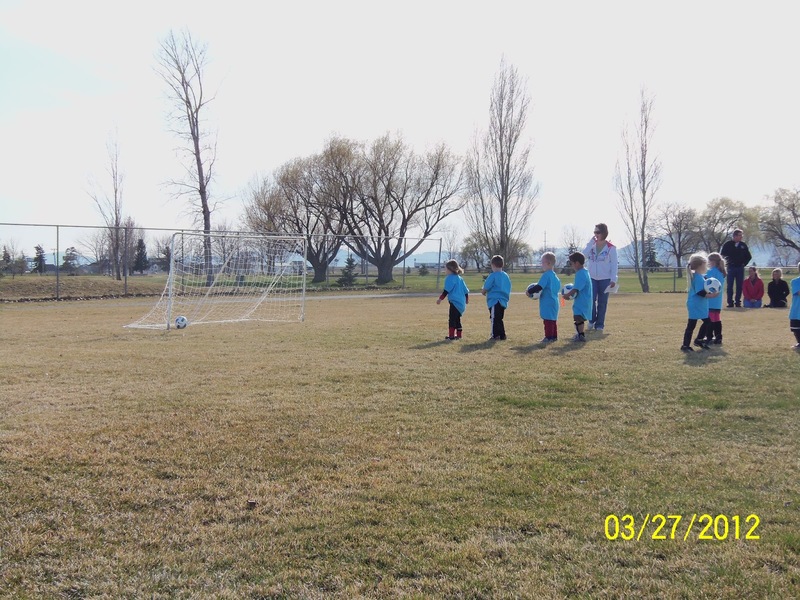 They all did great. 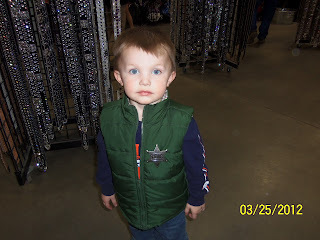 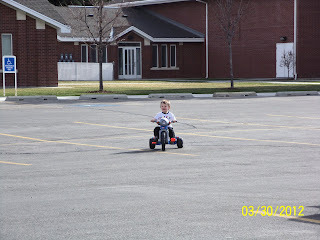 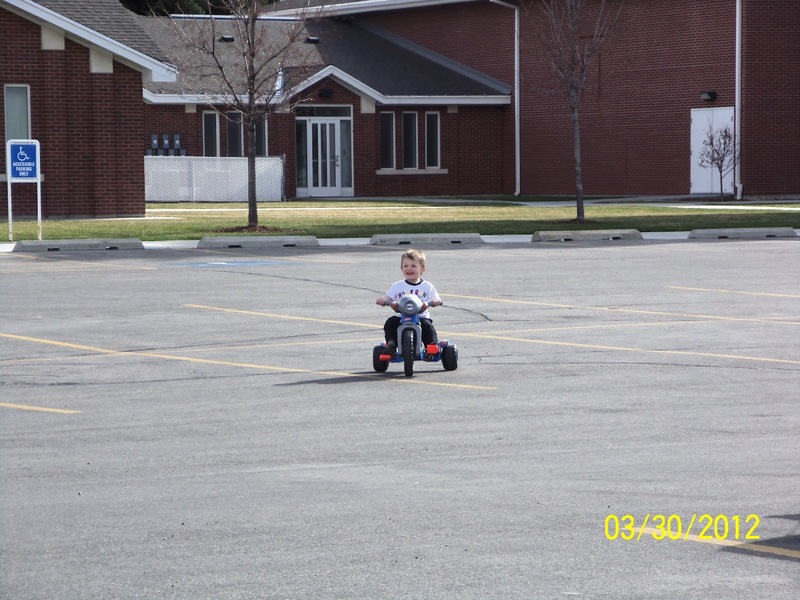 Preston was a little scared to ride in the parking lot but after watching his sister a bit he decided it was ok, there was no stopping him after that.